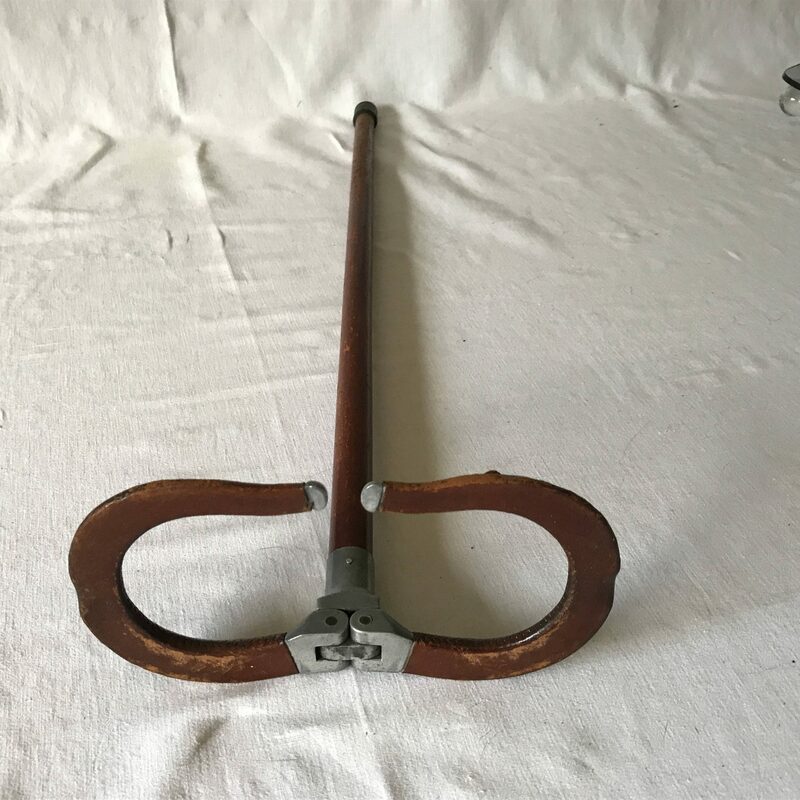 Vintage Gamebird Folding Seat stick walking caneWelcome to Carol's True Vintage and Antiques Shop! 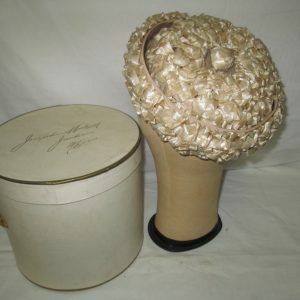 Categories: Accessories, Canes and Walking Sticks, Vintage Fashion. 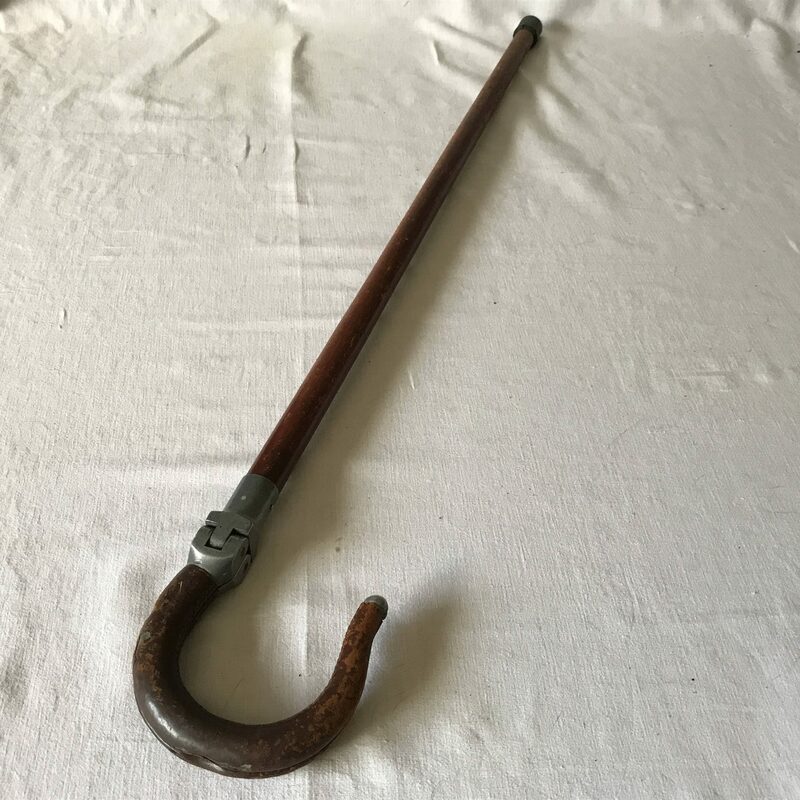 Tags: event cane, gamebird cane, gamebird seat stick, gamebird stick, leather seat cane, seat cane, vintage cane, vintage cane seat, vintage event cane, vintage hunging cane, walking stick, walking stick seat, Wooden Cane. 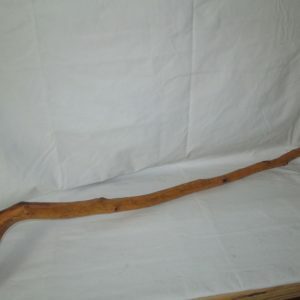 A shooting stick is a combined walking stick and folding chair. 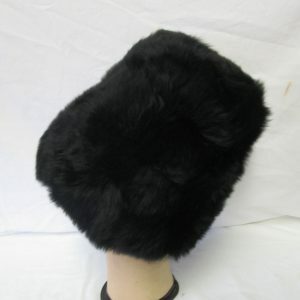 It is generally used as a short-term seat at outdoor events. 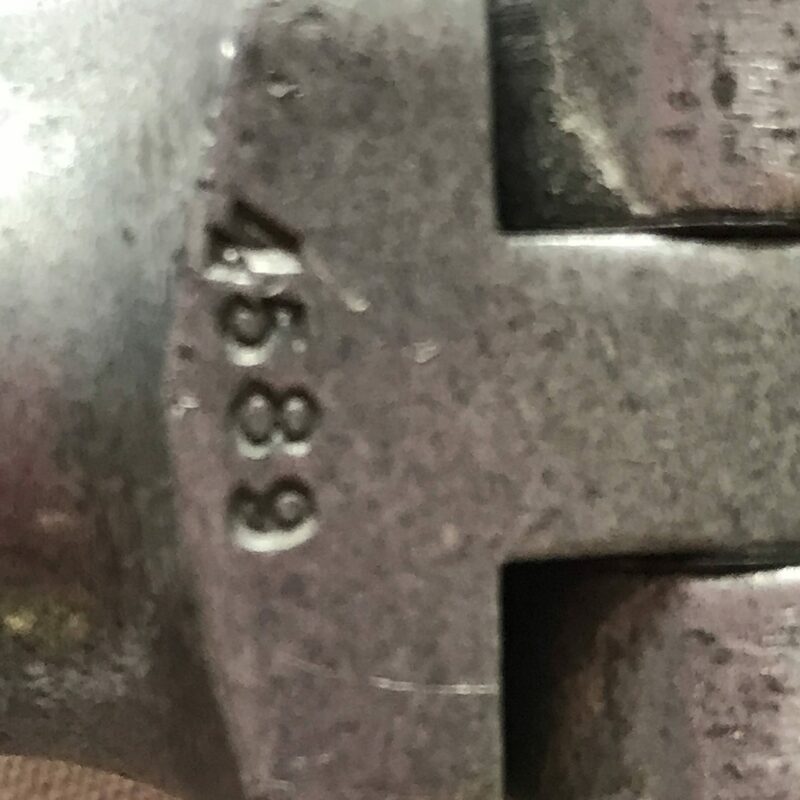 It has only a single mark of 4589. 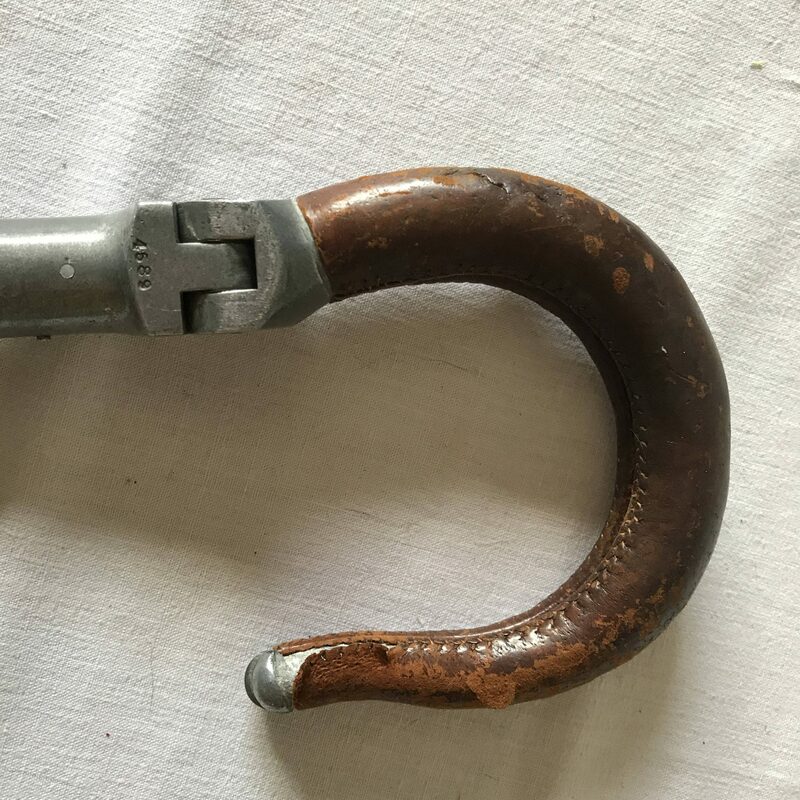 It dates to about the 1940’s. It is 32 1/2″ tall. 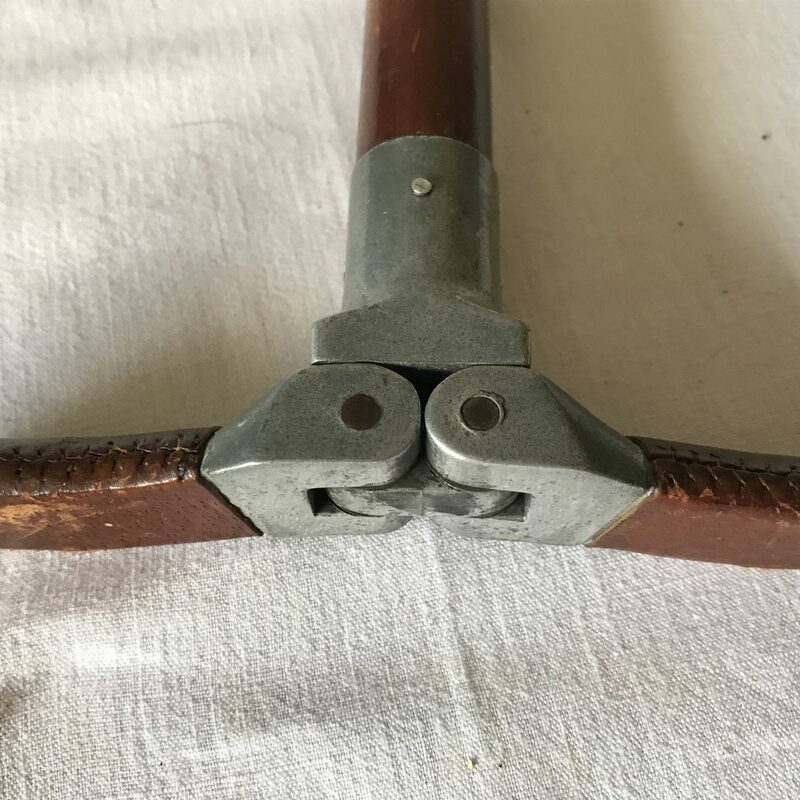 A traditional British shooting stick is a wooden or metal shaft terminating at the base in a plate foot, with a bifurcated handle at top that folds out to form a simple seat. 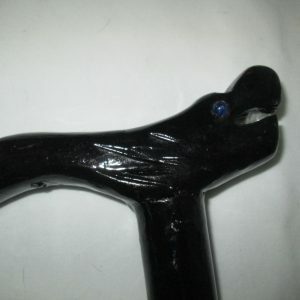 The seat may be a narrow saddle of leather or webbing. The plate foot typically extends into a metal point intended to dig into the ground for support, although a rubber ferrule may be offered for use on hard surfaces.